but we all know, the healthy environement and nature of our common one planet earth only makes it possible, not the world player multis which want to maximize their profits and control the world with political lobbing every year more. so this time, as a long time international culturally worker we want to share our project with the global public which is attended to come to milano in this short period of summer 2015. even when we have only a tiny possibility to be seen, we do not hesitate to give our best to reach the goal of a prosperous future an to give some inputs and ideas through the ideas and practical work we did all the past years. we are some tiny global sandcorns on the beach of the future, when the ice builted back from the last glaciers in the european rooftop, we will move your brain under the walking feets along that way. this link just has some good ideas what comes to happen in the metropole of design, architecture, art and haute couture. in Torino during the world winter olympic games in 2006 we made a group exhibition to gather experiences on a international art platform to have our work shown, and we got new connections to the art business world. 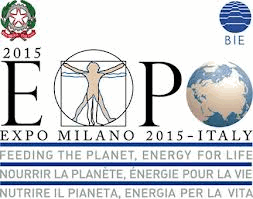 the milano world expo is the new platform, we want to use also for the purpose of the outcoming with all the work from the past 10 years. Venice hosts the 56. biennale di Venezia. This International Art Exhibition will run from 9th May to 22nd November 2015. The exhibition takes place at the Giardini, the Arsenale and in various locations across the city of Venice. as a current See.Me member, i am automatically eligible to take part in the Creatives Rising campaign? I am in the running for some amazing prizes and opportunities based on how many people support my work during the campaign period (May 28th – September 9th). Get 19 new supports, and i’m guaranteed to be featured in their social media channels, viewed by hundreds of thousands of people. Get 99 new supports, and they will display my work in a massive public projection at the Creatives Rising exhibition in New York City in October. The fastest way to start earning support is to reach out to my current fans, friends, and family. So I Ask you to support my work (just go to the adress below and click on to support), i am on my way to some amazing opportunities. Plus i might earn some money along the way, which could help fund my creative pursuits ! wie kannst du mich unterstützen: klick meinen profile-link und dann “support”! ich brauche 100 Supportes, hoffe du bist einer von ihnen! come puoi supportarmi: clicca sul mio “profile-link” e poi su “support”. non e chiesto nient’ altro! ho bisogno almeno 100 supporters, spero che sei una/o di loro! this mail i got today! You’ve been selected for a special exhibition. You have been selected to be included in the exhibition “The Story of the Creative” opening Thursday July 25th. Our curators will select three images from your portfolio to present in the show. Your work will be shown on museum quality high-definition monitors and in a large scale projection. Our team is also working on a publication to feature you and all the artists who are presented in this show. Click “Collect Me” to help me win $10,000 and a show in the most immense exhibition of art in New York City : Art Takes Times Square. The first edition of Pallava Symposium was organized in year 2011 through the joint efforts of sculptors : Urs Floryamo (Italy), Mark Stonestreet (UK), D.V.Murugan (India), Shanmuga Kumar (India), and R.Somasundaram (India). Eight sculptors from across the globe united for an exchange of culture and technical expertise at the Pallava International Sculpture Symposium in India. This was the first ever International Sculpture Symposium held at Mamallapuram (Tamil Nadu), a World Heritage Site elected by UNESCO. The Symposium extended from Jan’21 – Feb’7, 2011 at sculptor D.V.Murugan’s Art Studio and the Exhibition thereafter in the period Feb’9 – Feb’24, 2011 at the East Raja Street Garden. 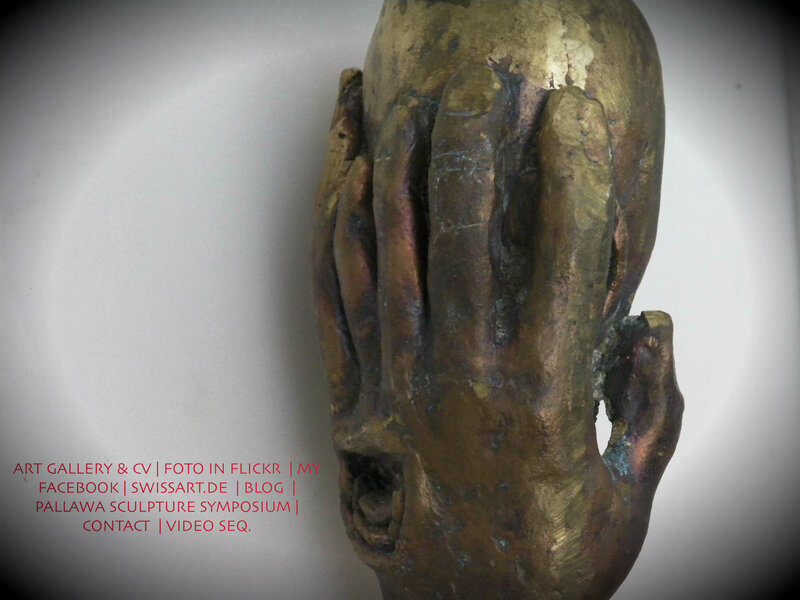 The symposium has hence successfully established as an event organized by artists for artists. During the course of the first symposium meeting, two other participating sculptors – Hemant Sonawane (India) and Sanyasi Red (India) offered to contribute efforts towards organizing the forthcoming editions. 1. Till such time that the Symposium is taken charge of by the Government of India, local State Government, Village Panchayat or by any other registered organization, the following team shall continue to build up resources for upcoming editions : Urs Floryamo (Italy), Mark Stonestreet (UK), D.V.Murugan (India), Hemant Sonawane (India) and Sanyasi Red (India). 2. 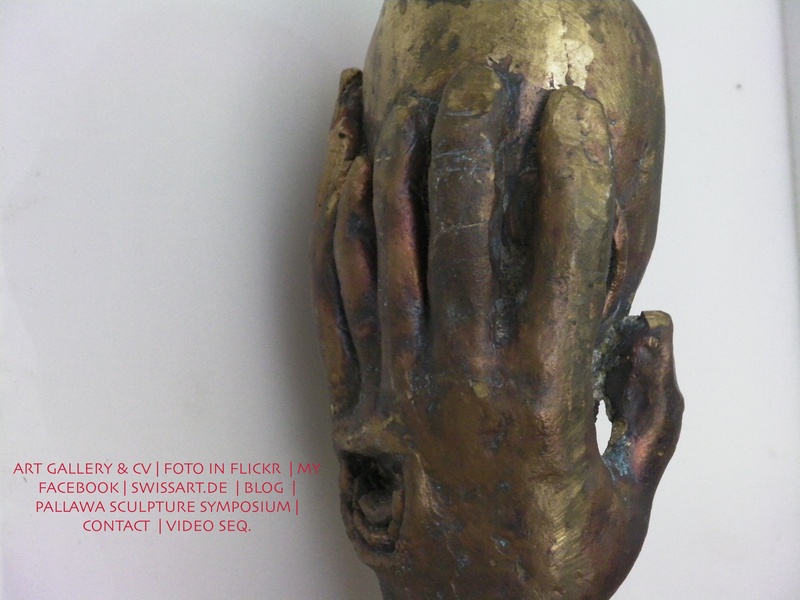 The second edition of Pallava Symposium of International Sculpture will be scheduled during year 2012. Thereafter, it will be organized as a Biennial event. 3. The first edition of Pallava Symposium having been a ‘paid’ one, it was suggested that efforts be made to tap Art Funding for next year’s event. This would encourage more international sculptors to attend. Also, it would alleviate the burden of funding from the organizing team, which essentially comprises artists based across the globe. Centralization of finance would leave more time for the Organizing Team to focus on creative and marketing aspects of the symposium. 4. Attempts will be made to gain sponsorship – in part or in entirety – for Pallava Symposium 2012. Sponsorships could be achieved through Art Funding by Government Agencies, Corporates, Art Lovers, Art Investors, Art Incubators, Art Galleries or Established Artists. Details of progress shall be updated at the Pallava Website duly. 5. The domain : http://www.pallawa.ning.com shall be treated as the official website for Pallava Symposium till a separate domain is registered and hosted through Sponsorship. The email : pallavasymposium@gmail.com shall be treated as the official administrative email i.d. for Pallava Symposium till a dedicated domain email is made available through Sponsorship. 6.In case the Organizing Members of Pallava Symposium are not able to find sponsors through their individual/group efforts until 7months prior to the scheduled commencement date of Pallava Symposium 2012, the offer of Sanyasi Red to organize this edition under his own registered organization, Rang Vikalp, will be considered. It may be noted that Mark Stonestreet and D.V.Murugan are also members of Rang Vikalp. In such a situation, Rang Vikalp shall be liable to propose sponsors, also Rang Vikalp’s Terms and Conditions for accepting the responsibility. Organizers of Pallava Symposium are free to accept or reject the T&C of Rang Vikalp. In case of Pallava Symposium 2012 getting conducted under the Rang Vikalp umbrella, fresh efforts will be made again by the Original Organizers to fetch sponsors independently for year 2014 edition of the Symposium. Sponsorships for each edition will be decided independently unless specifically jointly voted otherwise by the Organizing Members. 7. Participants of the first edition, henceforth referred to as Pioneers, shall have the privilege of attending the 2012 and 2014 editions of Pallava Symposium at their choice, as wild-card entries informed well in advance, in addition to other sculptors specifically selected for that particular edition. 8. A call for artists shall be put up on the Pallava website 6months prior to the commencement date. 40days shall be allotted to interested participants for sending in their portfolios and proposed designs. The final list of chosen participants shall be declared 20days hence. Artists shall be given their one-way travel dues (on presentation of receipts) after one week of commencement of the symposium. Artists shall be reimbursed with the participation grants on a weekly basis. All such grants mentioned herein, are subject to availability of sponsors. 9. The Selection Committee will shortlist 15 sculptors in excess to the Pioneers as Final Participants. No discrimination regarding nationality, race, caste, gender or special abilities will be made in the selection process. The committee will strive to reserve a quota of at least 5 artists belonging to the host country (India) for each edition of the Pallava Symposium. In case of inadequate applications received from Indian artists, the quota may be replaced by foreign sculptors for that specific year. 10. Any artists who fail to confirm their participation 3 months prior to the commencement date of Symposium, will not be entitled to any form of financial sponsorships. Free provision of non-monetary benefits like accommodation and food will be subject to availability and feasibility of arrangement. 11. There will be no financial allowance made for accommodation, food or local transport. Artists are free to stay at the sponsored Guest-House on basis of shared accommodation. A common Breakfast and Lunch will be made available to artists at the Guest-House and the site, respectively. Drinks and Dinner not included. 12. The Symposium will last for 20days. Artists are bound to remain present at the site of symposium throughout the period of the event. They are obliged to arrive at Mamallapuram 2 days prior to the Inauguration. The inauguration will be followed by a formal get-together and sponsored dinner. An entire day in the midst of the event will be dedicated for local sight-seeing and cultural events. The site of symposium will be closed for work on this day. It will be obligatory for Symposium Participants to attend this socialization initiative. A sponsored Dinner will be organized on the last day of the Symposium, after the event is concluded and Participation Certificates duly distributed. 13. Participation Certificates bearing signatures of all Organizing Members, Participants and Sponsors will be issued at the end of the symposium. Particpants are obliged to complete their artwork as sketched/presented in the selection proposal. In the absence of artwork completion, artists may be denied the claim to partial/total reimbursement. Such matters will remain under the jurisdiction of a joint committee comprising the Sponsors and Organizers. Excess time allotted, if any, to complete the artwork, will not include any form of grants, either monetary or non-monetary. The concerned artist will have to bear his own dues for stay, food, studio costs and any other expenses for the extra time period granted. 14. Participants are free to continue their stay at the Guest House, after the period of symposium on duly informing the landlords in advance. They may also continue working at the studio after obtaining due permissions from sculptor DV Murugan regarding studio-hire. All such additional schedules will be entirely at the cost of participants themselves. The liability of Sponsors is applicable only for items specifically mentioned in contract papers, and will last only through the period of symposium. Artists are required to submit their Departure Flight receipts to the organizers, within one week of commencement of the symposium, failing which reimbursement for return travel may not be claimed. 15. The joint committee of Sponsors and Organizers reserves the right to modify, replace or altogether cancel the schedules, terms, conditions and provisions of the Symposium. Any such amendments will be intimated to the selected artists at least 1 month prior to the commencement date of Pallava Symposium 2012. No requests for changes will be entertained after this buffer period. 16. Artists will themselves be responsible for securing their International Medical Insurance. Artists will also have to arrange for their own power tools, hand tools and protection gear to be worn at site. Diamond-edge discs, markers and polishing discs will be provided at site. Site Infrastructure also includes provision of electricity, power generator, work sheds, chairs, ground-water, crane and qualified tool-repair technicians. Hand tools and Protection Gear may be available for purchase locally at regular market rates. 17. Assistants for sculpture may be made available to participating artists at additional charges, liable to the participants. Artists are free to bring their own assistants along. The entire responsibility, costs, liability and safety of such assistants, including food, travel and accommodation, will be borne by the artist who brings them. Additional tools for assistants may be hired from DV Murugan’s studio on a daily basis, by artists requiring them. 19. In case of complete sponsorship and artist grants offered, sculptures created at the Symposium will remain the exclusive property of the Sponsors. Such a sponsor reserves the right to claim complete copyright over each artwork for purpose of Sale, Reproduction, Reprint, Distribution, Marketing and Future Promotions, without offering the artist any commission in these activities. 20. In case of partial sponsorship provided in the form of Food and/or Accommodation and Infrastructural Facilities, the Sponsor will be allowed the right to set up camp, advertise and sell their products at the site of the Symposium. Artists, in this case claim complete ownership over their artwork. From the period of Exhibition onwards, the sculpture will remain in the custody of the Organizers. The Organizers of Pallava Symposium reserve the right to sell the sculpture if its creator fails to move it outside Mamallapuram within a year after the conclusion date. In a situation of sales conducted through the Organizers, 35% of the sales amount will be retained by the Organizers and 65% transferred to the creator artist. There will be complete transparency maintained in the sales procedure. The artist may be required to provide an Originality Certificate to the Collector buying his/her Art. On completion of the deal, the artist will be introduced to the Collector. 21. In case of partial sponsorship provided in the form of Stone and Travel Expenses (trans-India and International), the Sponsors will be allowed copyright over each artwork for purpose of Sale, Reproduction, Reprint, Distribution, Marketing and Future Promotions, by offering the creator artist 50% commission in the sales amount. There will be complete transparency maintained in the sales procedure. The artist may be required to provide an Originality Certificate to the Collector buying his/her Art. On completion of the deal, the artist will be introduced to the Collector. 22. In all cases, Organizers and Sponsors of Pallava Symposium reserve the right to use images/videography of artworks created at each edition to be used for Marketing, Publicity and Promotion of future editions of the Symposium. Currently, we are in throes of acquiring sponsorship for the 2012 event. Kindly join this website to keep in tune with our developments. The final proposal for PALLAVA 2012 will be declared on this website by September, 2011… and Entries for selection sought soon thereafter. whats up in art? …..swissart! ART GALLERY & CVǀFOTO IN FLICKRǀMY FACEBOOK ǀ SWISSART.DE ǀ BLOG ǀ PALLAWA SCULPTURE SYMPOSIUM ǀ CONTACT ǀ VIDEO SEQ. ART FAIRS IN 2012 AROUND THE GLOBE. the exhibition is in: LICHTBILDNEREI, WIRSINDBABEL, gallerie am Olgaeck, Uhlandstrasse 26 in Stuttgart. a more detailed programm will be published here.